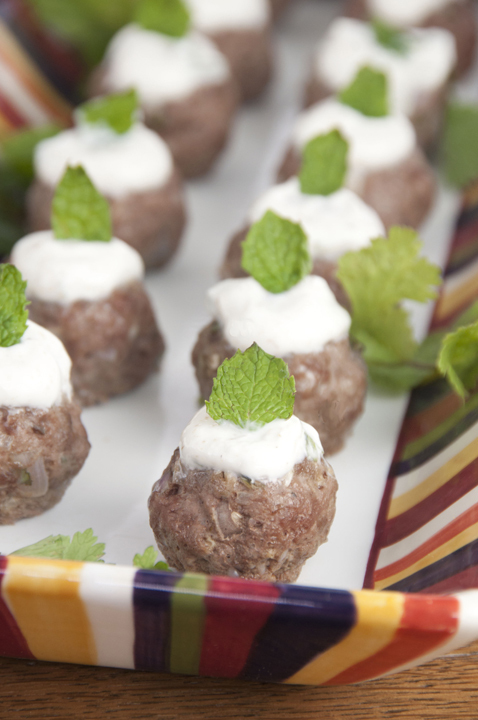 These lamb meatballs are spiced up with cumin, cilantro and mint and served with a traditional Greek yogurt sauce. Makes for a fancy appetizer for a cocktail party. I was at an event for my husband’s job last year and the restaurant that catered this event served these absolutely incredible lamb meatballs for an appetizer that I could not get out of my head ever since. Since on a normal basis I have 8 zillion things and/or ideas of what to make for my blog running through my head, the lamb meatballs were soon forgotten about and pushed aside. I finally got around to making them thanks to inspiration from partnering with American Lamb Board to create an original lamb recipe as a part of their global flavors project and was so happy with the result. Their lamb is known for it’s quality, flavor, and tenderness and was so tasty and VERY easy to cook with – if you can cook with any other meat, you can cook with lamb. 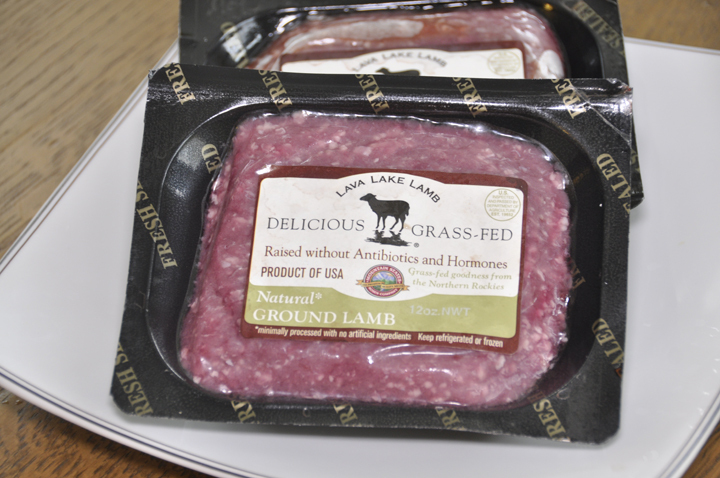 There are more than 82,000 family-owned sheep farms in almost every state and American Lamb is local, with grass-fed lamb available year round. It’s not just for Easter anymore! Lamb naturally lends itself so well to global flavors, including Latin, Middle Eastern, Asian and Mediterranean… and even Greek, like these meatballs! It works great in all sorts of recipes. I had never cooked with lamb before, believe it or not, so this was a great opportunity for me to try something new. 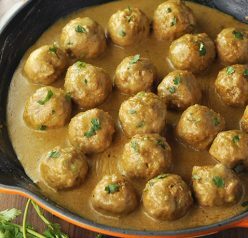 This is a great alternative to regular meatballs and there are no breadcrumbs or flour in them making them gluten free. I honestly thought if I left these ingredients out that the meatballs would be dry or tough, but they weren’t at all. These would be a huge hit at a cocktail party! They can even serve as your main course with a side salad and some rice or potatoes. I served them with an arugula salad with almonds and brown rice. It was a nice, light meal! If you make these for a party, make lots, because people love them. The creamy, cool yogurt dipping sauce really gives a fabulous flavor and puts these over the top and shouldn’t be bypassed. 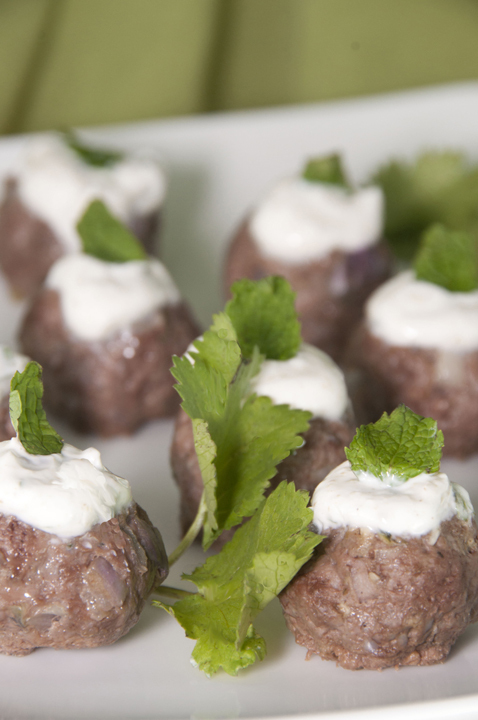 Topping the meatballs with the sauce and a mint leave gives a nice touch and gives them that impressive “wow” factor. Your dinner guests will love “ewe” for it. Enjoy! Combine all meatball ingredients in a large bowl and mix thoroughly with your hands. Form into about 30 meatballs (about 2 teaspoons each) and place on a lightly greased baking sheet. Bake until meatballs are no longer pink in the middle, about 14-15 minutes. Meanwhile, combine all yogurt ingredients in a small bowl and season with salt and black pepper. Mix well. Serve on top of meatballs and/or with a side to dip the meatballs into. Delicious little bites and with the dollop of mint yogurt sauce on top perfect for a party. So pretty. ive never cooked with lamb either! These look deliciouse and with those blend of cumin,cinnamon,and coriander I don’t think you could go wrong! I had a similar tapas at an event earlier this year — and it was amazing. This looks so good, and so pretty! Perfect for all those holiday parties that are coming soon. Lamb is one of those ingredients that I always order when we go out for dinner but rarely make at home. We are big meatball fans in our house, so this would be a great way to make a lamb dish on my own! These look divine!! Love the lemon and mint yogurt sauce! Who doesn’t love a good tender meatball? I’ll take 10! Ashley, I love the flavor combination of these meatballs – it actually made my mouth water reading your description of them! We love lamb, and I don’t make it often enough – this is a great reminder that I need to! Delish! Lamb is one of my favorite meats to cook with and eat. These meatballs are definitely going to make an appearance at my table! I bet you get to see and eat lots of good food when you go to your husband’s events. Lucky girl! People will loves these. So yum! My hubby would LOVE these! Mmm, I absolutely love lamb. These meatballs have amazing flavors, I know I’d gobble them up. 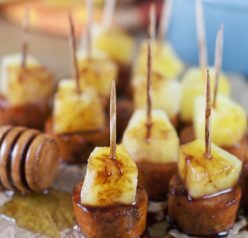 These sound absolutely perfect for a holiday appetizer! This is probably the easiest meatball recipe, that’s healthy too, I’ve seen in a long time. And its already gluten free. I love lamb! These look awesome! You had me at lamb…and mint. These meatballs look super tasty! I love lamb and all the flavors here are just fantastic. I love lamb and usually make lamb meatballs or lamb burgers once a month or so! The yogurt sauce on top sounds great! Oh, I just love lamb!! The flavors you added to these little bites is fantastic!! 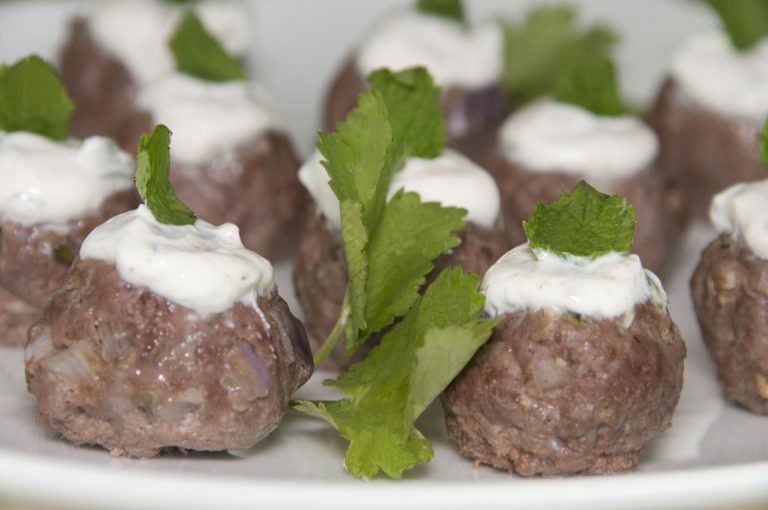 I love making turkey balls without any flour – but never have I tried lamb! Ashley – love the cumin and coriander in them! 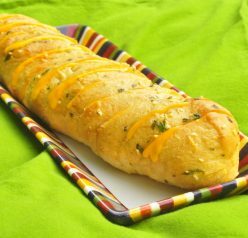 What a nice bite to offer at parties AND its GF friendly!! I was first introduced to lamb meatballs through Dom Deluise believe it or not when I was a kid.